All Carmel Women are invited to Winter Gathering! 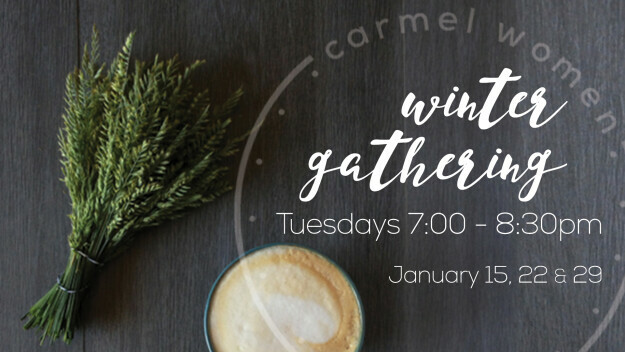 On Tuesday evenings - January 15, 22 and 29, the women of Carmel will gather from 7:00-8:30pm for Winter Gathering. We will explore Romans 12 with teaching and testimonies from Carmel women. CHILDCARE: Childcare will be provided. Registration for childcare is required and is included as part of your registration for the event. Space will be limited.